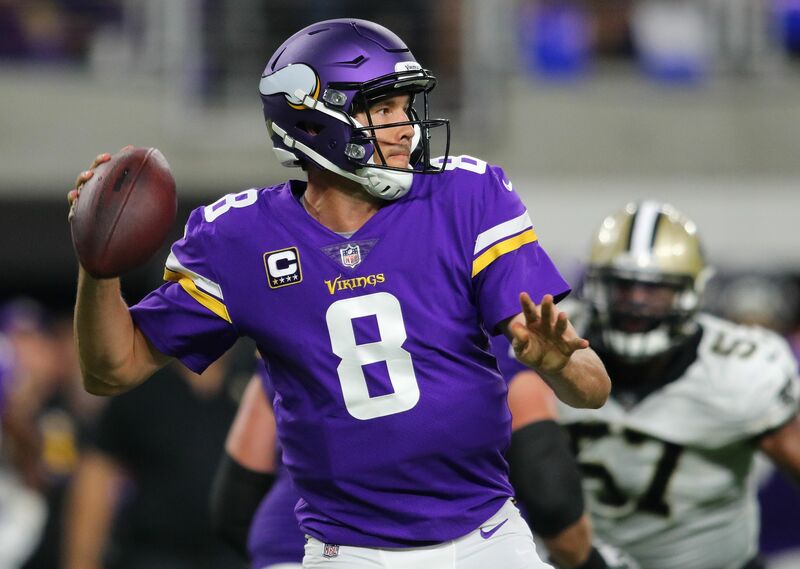 Quarterback issues for the Minnesota Vikings could be over soon as Sam Bradford looks to return quickly. According to NFL Network’s Ian Rapoport, the Vikings believe that Sam Bradford will return sooner as opposed to later. The organization expressed concern after yesterday’s loss to the Steelers, saying Bradford could be out anywhere from one to six weeks. However, luckily for Minnesota, it’s looking like a one-week injury is likely. Bradford appeared on the injury report following the Vikings’ win over the Saints in Week 1. The team could just hold its breath when it was announced as a knee injury. But, after further evaluation, the team was able to rule out an ACL injury. Bradford’s knee took a beating on a few plays against the Saints, the injury is believed to be just swelling. By and large, this news is great for fans in Minnesota. After lighting up the Saints for 346 yards and three touchdowns just one week ago, the long-term loss of Bradford would’ve been crushing. Especially since quarterback Teddy Bridgewater’s timetable is still uncertain. Although Case Keenum wasn’t an awful temporary replacement for Bradford, he was far from good. Minnesota dropped to 1-1 after a 26-9 beatdown at the hands of Big Ben’s Steelers. Keenum completed 20 of 37 passes for 167 yards with no interceptions or touchdowns in the affair. With the Vikings hoping to make a playoff push this season, they need Bradford to return as soon as possible to stay level in contention early. As fans have seen in years past, the NFC North is one of the most competitive divisions in the NFL. Bradford is the only real chance the Vikings have to win, Mike Zimmer and his squad cannot afford to start Keenum yet again. Especially when Minnesota returns home to face a red hot Buccaneers squad in Week 3.